Faux wood blinds or durawood combine the attractiveness of real wood blinds that’s why it is also known as the imitation of the real wood. It is often choose by the people because of its lower cost and durability. One of our client from Shaw Boulevard, Pasig City who is living in the higher part condominium. Their biggest problem in living there is everyday especially during afternoon the sunlight goes directly to their window which causes too much heat and over exposure to sunlight. Although they have curtain it won’t help to lessen the heat and light. She brought faux wood blinds as we recommend because of its unique features that would perfectly fit for their unit. Faux wood blinds are a highly durable for a sun facing window, it also works well for humid environments like kitchen and bathrooms. It is easy to clean with, with the help of feather duster and damp cloth will do, it is very easy to use in controlling the amount of sunlight you want to pass through your window. A faux wood blind also helps the décor of your place simply and inexpensively. Our client opted for an almond color to match her elegant white wall. Faux wood blends well with most any decorating style. For more choices of faux wood and its wide variety of color, you can visit our showroom at 2nd level Pacific Mall Lucena City, 3rd level Robinsons Metro East, Pasig City and 4th level Waltermart, Makati City. 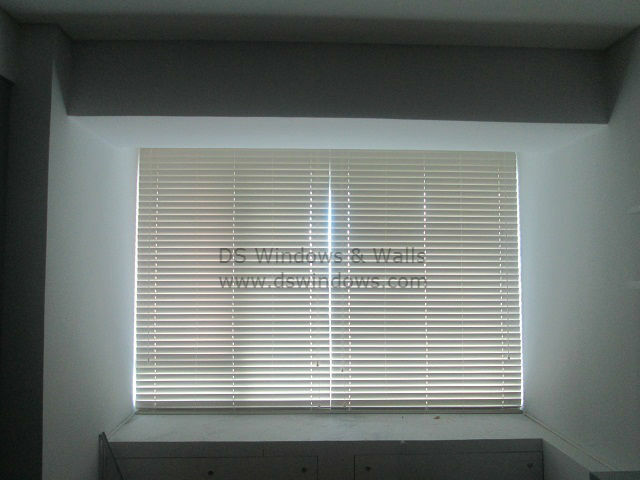 You may call us at (02) 893-1373 / (02) 403-3262 / 0916-311-3909 or email us at inquiry@dswindows.com. 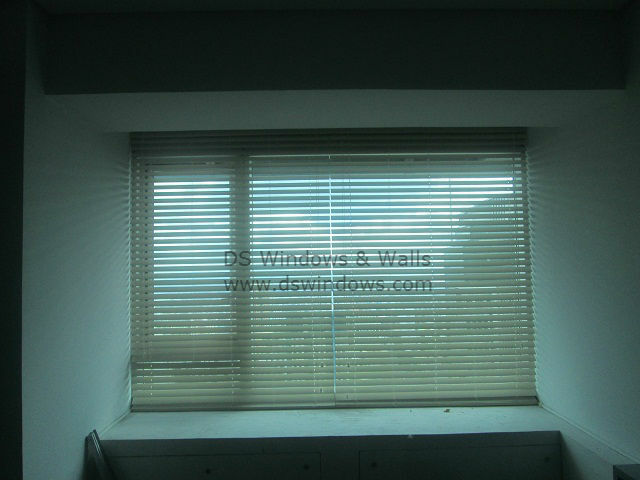 DS Windows & Walls offers a wide selection of blinds, folding doors, wallpapers and carpets. We also offer FREE Measurement within Metro Manila and FREE Installation of blinds and folding doors if you purchased worth P5000 and up.